If you purchased an Amazon Fire TV Stick from your Amazon account, the Fire TV Stick is already registered to your Amazon account. Although this saves time, after a while, you might want to use a different Amazon account with Fire TV Stick. 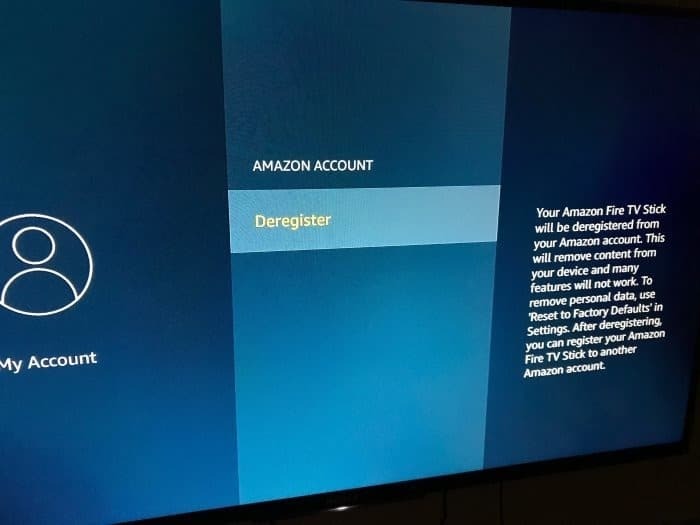 To use a different Amazon account with Fire TV Stick, you first need to sign out of the account which is currently being used on Fire TV. Luckily, Amazon Fire TV Stick allows you to sign out of your account without any hassles. 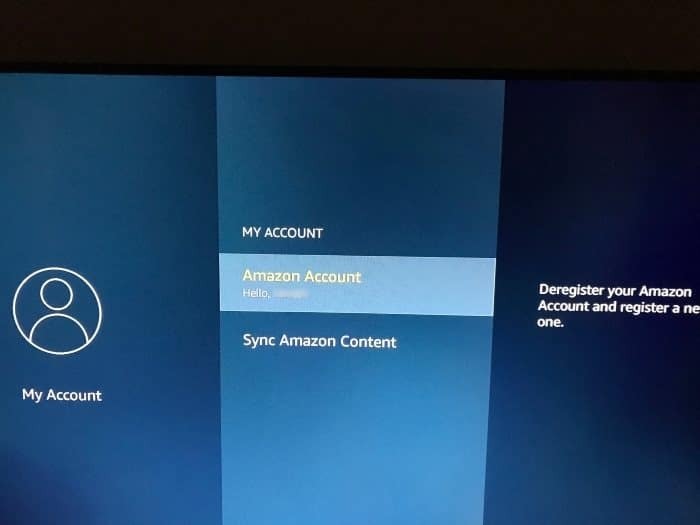 When you sign out of the Amazon account on Fire TV Stick, you are removing the content from the Fire TV Stick, and some features might not work (when you are not using an account). However, signing out won’t delete your personal data from the Fire TV Stick. For that, you will have to reset Amazon Fire TV Stick to factory default settings. Complete the given below directions to sign out of the Amazon Fire TV Stick so that you can use another Amazon account to sign in. Step 1: Connect the Fire TV Stick to your TV and then turn on both TV as well as Fire TV Stick. Step 2: Navigate to Fire TV Stick Settings > My Account. You can easily access the Settings from the home screen of Fire TV Stick. Step 3: Select the Amazon Account option and then press the select button on the remote to see the Deregister option and select the same. Step 4: Once the Deregister option is selected, press the select button on the remote to sign out of the Fire TV Stick. Your Amazon Fire TV Stick will now be deregistered from your Amazon account. You may add a new Amazon account to Fire TV Stick now.